The following historical excerpt is from the History of Tacoma Eastern Area by Jeannette Hlavin and Pearl Engle written in 1954. 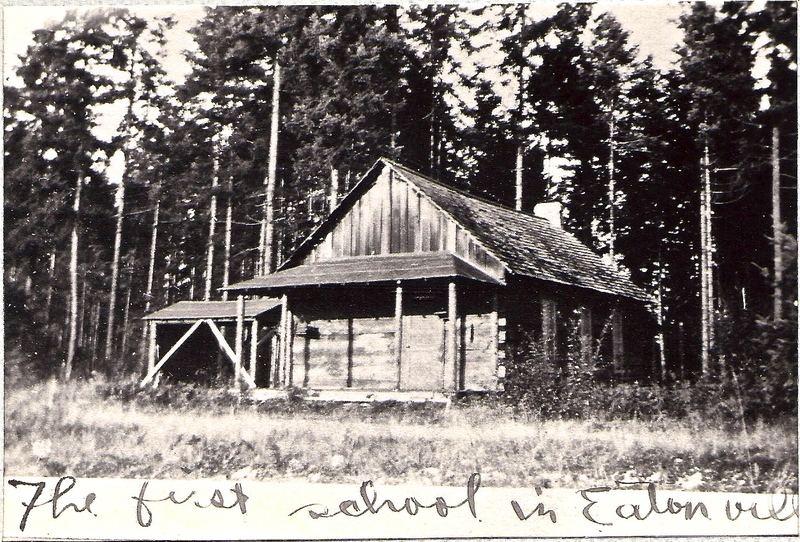 “The first school was the log house built from logs and nails and on ground donated by T. C. Van Eaton. It stood across the Mashell Avenue from the present grade school building. 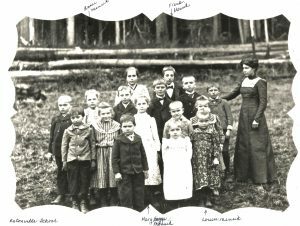 Some of the Scandinavian settlers were “Broad axe men,” experts at hewing logs or lumber, and they hewed the material for the school house. “The first teacher was Miss Alice Dodge. School was conducted only three months a year. Two other teachers taught in the log school house, Miss Hortense Oliver and Miss. P. Messinger. “Some towns neglect their historic buildings but this cannot be said of Eatonville. 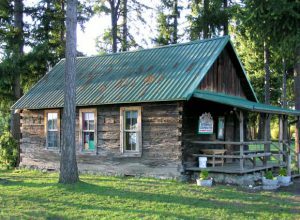 The old log school house has been tenderly cared for and is often referred to sentimentally in writings and speeches of local people. “Clyde Williams says that when it was to be removed from its original location, he said to T. C. Van Eaton, who with a team of horses, was his partner on the job: “Let’s save it” and Van Eaton replied: “All right, we have plenty of room.” Accordingly, they hitched it to the horses with chains and pulled it to the spot where it now stands. “Before 1912 church services were held in it. “B. 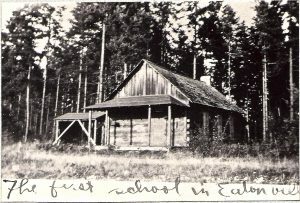 W. Lyon told the Community Day audience in 1923 that when he was school superintendent here, an orphan boy was permitted to live in the old school house. He was placed in charge of the agricultural class’s poultry, and was allowed to keep what money he made from it. In this way he was enabled to complete the high school course here. His name was John Kruger and in 1923 he was head of the Agriculture Department of the Sumas public schools. For decades the old school house stood in the area behind the present day tennis court at the high school. Eventually, through the efforts of the Dogwood Garden Club it was moved to it’s present site. 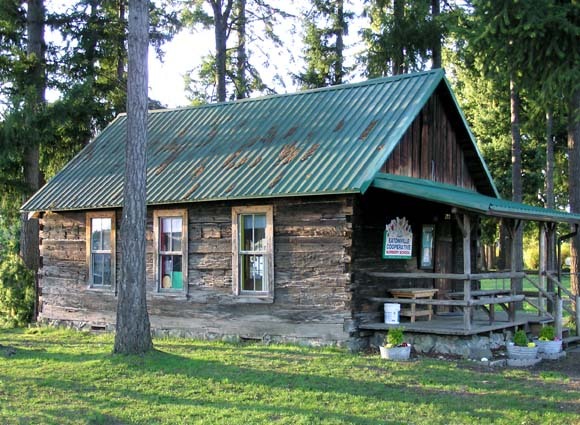 The log building has been used as the Eatonville Cooperative Nursery School for thirty-one years. Photo courtesy of the Baublits family and Bob Walter.